Is Being a Law Student Like the TV Show How to Get Away With Murder? Many popular television series today aim to imitate life in a fictional way and expose parts of life that are unseen by the average person. Whether that means a series about the inside of a prison, the life of a doctor or the legal world, viewers are intrigued by the fact they can live vicariously, engrossing themselves in an alternate life. One of the most popular television series of our time is the legal drama, Suits. For some, it was what sparked an interest in a career in law which is unsurprising, seeing as the series follows the lives of top-paid lawyers with luxurious lifestyles. However, viewers forget that it is fictional, and thus not entirely true to reality. 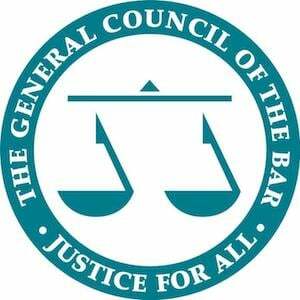 The TV series is centred around a top law firm, of whom employ young genius Mike Ross. He impressed the firm with his extensive knowledge of the law, despite not going to law school. The firm only takes on Harvard Law students, yet they hire Ross nevertheless. Therefore, he is a fraud and the series is simply about keeping his secret from the world. Suits also touches on all the legal issues that may be experienced in a firm and the complex personal lives of lawyers, as displayed through the lead characters. But is being a lawyer like Suits? Is it an accurate portrayal of the legal profession? Want to find out just how similar you are to Harvey Spectre? Take our brand new quiz: Which Fictional Lawyer Are You Most Like? Is Being a Lawyer Like Suits? Perhaps Not. To say that Suits portrays an accurate image of the legal world, would be a generalisation. An inaccuracy is that some of the characters are litigators whilst also being transactional lawyers. In reality, a lawyer would specialise in one or the other. Transactional work is research-based and involves, for instance, preparing contracts, reviewing documents and negotiating. Litigation, on the other hand, involves representing clients and spending time in a courtroom. Although, at a smaller office a lawyer might take on both jobs but this is purely due to limits on the number of lawyers. In our case, the firm in Suits is supposed to be one of the largest and renowned in New York. Leading on from this, before Mike would go to court he would do intense research. One of the main inaccuracies that regularly came to my mind was that a lot of the research Mike did was done in the library, using books. This is a rather traditional depiction that is untrue to our modern methods. Technology is always becoming more advanced to diminish traditional, less efficient methods. The typical lawyer would most probably use, online databases to find cases, rather than tediously searching through books. Top British law firm CMS have given their view on IT and the law, concluding that technology is growing so much, to a point where we will no longer need small local firms. There is an indication that technology is consuming the legal world, yet Suits does not present this issue. Another very current yet slowly recovering issue in our legal world, is the lack of diversity. The character, Jessica Pearson, is the managing partner for the majority of the series; she is powerful and respected by the rest of the firm, despite her young age. In reality, women make up a lot less than half of the partners in the world. Furthermore, the number of partners from a BAME background (as Jessica is), is very low. Therefore, if it were to be realistic, the managing partner would probably be male, white and elderly. However, this is not entirely inaccurate as female partners clearly exist in top firms. I was personally glad to see the series have a female head. It is empowering and shows that although there are less of them this is not because women are incompetent. Is Being a Lawyer Like Suits? Perhaps Yes. On the other hand, the show gets some key elements correct. 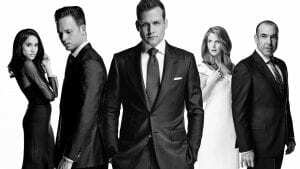 Suits not only looks at life in the firm, we are given a look at the personal lives of the characters. The managing and senior partners return to luxurious apartments; it is safe to say that lawyers who work at large, well-known firms are certainly well-paid. But this does not come without a lot of hard work. There are often scenes where the characters have been working in the office until late. The viewers are being told that work as a lawyer is difficult and that a level of dedication is necessary to secure a senior position. In large firms, it is inevitable that there may be some internal politics. At some point in the series there is a battle for control over the firm. This adds more drama into the series, whilst also being true to life. The world of law is competitive due to the vast number of people becoming lawyers and trying to be at the top of their game, so it is inevitable that there is internal politics. At the heart of firm politics are fiery personalities of lawyers who all strive to be the best. The series accurately displays the types of people you may come across in a top law firm. For instance, the fear-provoking, jealous personality of Louis Litt. He harbours attention and desires everyone to like him, including his equivalent, Harvey Specter. Specter is another good example of a typical lawyer, he is arrogant and risky with a charming personality, whilst also being a brilliant lawyer. The series really does explore all the characteristics of lawyers that may be found in top firms. So is being a lawyer like Suits? It must be said that although Suits has its inaccuracies, it is not unusual. It is designed to be dramatic to make it interesting, if it were too life-like it may become alike a documentary. The programme focuses on aspects such as the characters; it humanises the fictional lawyers, and shows that these undeniably polished and suave characters who are experts in their field also make mistakes. Suits is there for entertainment purposes and not as a documentary. Yet it should be argued that it is realistic enough to get an insight into the legal world, how it more or less works and the dynamic of a firm. The missing details are to make sure there is no distraction from the entertainment purpose of the programme. Don’t stop there – if you really want to be Harvey Specter or Rachel Zane, you better start filling up on your legal careers knowledge. Do You Think Suits is Realistic? ...And is Being a Lawyer For You? Attend our free event to find out if law is the career path for you!